Pema Norbu, a monk from Lhopu monastery, was beaten to death by Chinese security personnel after he was caught carrying books and CDs through checkpoints. News of continued tensions in Tibet and the associated tragic series of self-immolations by protesting Tibetans has been causing a great deal of distress for Tibetans. 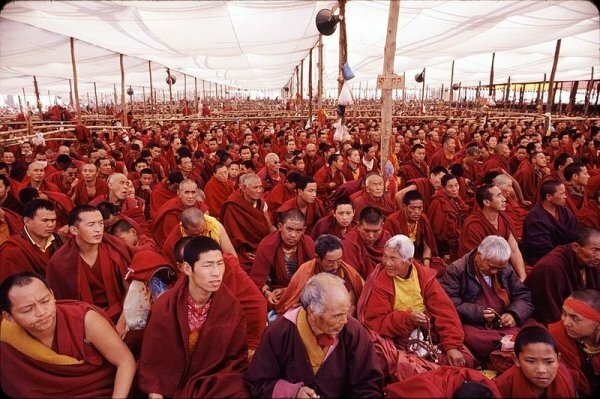 A recent report of the fatal beating of a Tibetan monk by Chinese security personnel has exacerbated these tensions. Phayul.com has reported "Tibetan monk beaten to death by Chinese security personnel." It has been reported that after being stopped at a security checkpoint in Riwoche, Kham, eastern Tibet, a Tibetan monk was beaten to death by Chinese security personnel. Sources in exile have said Pema Norbu, a monk from Lhopu Monastery, studying at the Dege Dzongsar Institute, was returning to his hometown of Riwoche when he was apprehended by Chinese forces at one of the many checkpoints in that region. When Norbu was searched, just like all the other Tibetans passing through the checkpoints, the deceased monk was found carrying “several CDs and a variety of books” in his bag. Sources have said Norbu tried to escape but he was overpowered and severely beaten by Chinese security personnel. It is said Pema Norbu was later taken to a hospital in Chamdo, but he eventually succumbed to his injuries. It is not known exactly what the nature of the books and CDs was. Pema Norbu was from Lha Khang Tachu Ma village in Riwoche. He is survived by his father, Agyal and his mother, Delha. This troubling incident has followed the torture of another Tibetan monk by the Chinese police in Nyagrong County, Kardze. 36 year old Kawrang was a monk at the Nyagrong Monastery. He was detained in mid-May on charges of putting up pro-independence posters on the walls of a Chinese government building in the region. This remains a very sad time in history for the Tibetans.